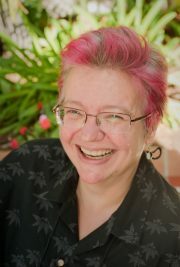 The Damon Knight Memorial Grand Master Award is given by SFWA for ‘lifetime achievement in science fiction and/or fantasy.’ Wolfe joins the Grand Master ranks alongside such legends as Michael Moorcock, Anne McCaffrey, Ursula K. Le Guin, Isaac Asimov, Ray Bradbury and Joe Haldeman. The award will be presented at the 48th Annual Nebula Awards Weekend in San Jose, CA, May 16-19, 2013. 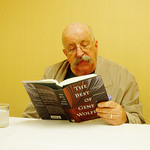 Gene Wolfe photo courtesy of darksong under a CC 2.0 license. Fantastic, but I thought he already was! I saw Mr. Wolfe speak at a convention in Maryland, he was wonderful. Congratulations! Awesome. Long overdue. Waiting, hopefully not in vain, for another installment of the “Latro” series soon. Last night I started reading The Urth of the New Sun, and this morning I read this great news! Well-deserved and long overdue — a sentiment that could be equally applied to my reading habits (I was 22 years old when the aforementioned book was first published, but I’m just now getting around to enjoying it). Better late than never. 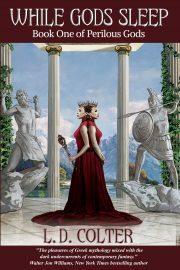 Congratulations to Gene Wolfe, he deserves it.